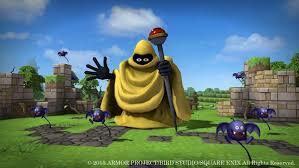 Let me ruin my nerd street cred by admitting that I have never completed a Dragon Quest game. In fact, the only Dragon Quest game I put a considerable amount of time into was Dragon Quest IX for the Nintendo DS. And while I had fun with it, I found the grind to be too much for me to commit to and eventually found myself in a place where I wasn’t sure where to go next because everything was too strong and the difficulty of the monsters I was fighting wasn’t proportional to the experience I was getting. And I’m a guy who loves the grind. As I’m getting older and busier, the only time I have to put into an RPG is if it’s portable and I can play it when I find myself with some downtime, or it’s almost bed time and I need to relax away from the couch and TV screen. Let me also ruin my adult street cred and admit that when Minecraft became available on the Xbox 360 that I tried it out of curiosity and found myself putting way too much time into the game. I enjoyed the simplicity of the game and how there wasn’t really much drama. Build what you can and explore where you dare. It was an excellent way to turn my brain off and have fun finding what I could. But much like I do with Legos, once I got past building what the instructions said, I couldn’t find much creativity to make new and exciting things. When I visited my friend’s world and saw all the crazy things he came up with, I got discouraged with my square houses and decided I probably was done with Minecraft. 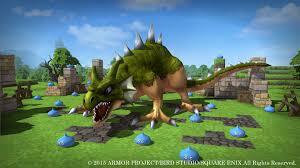 So, when I heard that Dragon Quest Builders was a thing guess how excited I was? Not even a little bit. Sure, it sounded like a cute idea, albeit a bit odd. No major company had attempted to cash in on the success of the Minecraft model and this one just seemed like a bit of a cash grab. But, who am I to spit in the face of early access to games? So when the chance to play this game early presented itself, I figured why not? I’ll sink and hour or two into this game and see how bad of a rip-off it is. At the time of this writing I have gone two days without playing Dragon Quest Builders and I miss it terribly. I can’t remember the last time I so incorrectly wrote off a game before playing it. Granted, the market for this game is incredibly niche. You have to enjoy sandbox building games like Minecraft and have a deep appreciation for the wonderfully cliché’ world of fantasy RPG’s. This game was perfect for me. It starts out explaining that the world you are in was prosperous until the Dragonlord came and ruined everything. People of the world forgot how to build and were living in fear of the monsters. And that’s where you come in. You still have the ability that the people of this world do not; you can build things from raw materials. It’s up to you to rebuild the world and teach others to do the same. So you are unleashed on the world with the first task of rebuilding the city of Cantlin and restoring hope to their disenfranchised citizens. They ask you to complete tasks such as building a room for them to sleep and a place for them to work. The tasks then vary from finding other people who can help rebuild the city with you to infiltrating a pyramid built by monsters to steal their idols that might help you protect what you’ve built. What I love about this game is how it’s a more controlled version of Minecraft. It holds your hand just enough to inspire creativity. 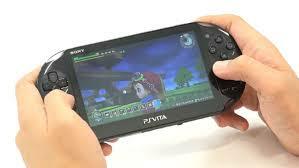 It also makes you go on quests to find new ways to build things. Around the time you start finding yourself limited on the things you can do, a new quest opens up and gives you a whole new world of possibilities. Even after sinking 10 hours into the game I was still finding new things and wondering how that would affect future gameplay. I realize that for those who got super into Minecraft that this must sound very limiting and boring, and I won’t disagree with you. This is very much a supervised version of Minecraft, but that works for me. Being given the entire world in Minecraft and having to rely on internet forums to find out how to do things was exciting for a little bit, but ultimately wasn’t for me. I want to seclude myself in my imaginary world I’m building, not talk to people. One thing I found a bit odd about my experience was that for all the time I put into this game and all the things I felt I accomplished, I did not unlock many trophies. In fact, I think I only unlocked 2 or 3. So I looked at what needed to be done and from the looks of it, there are multiple realms you unlock and different chapters to complete. 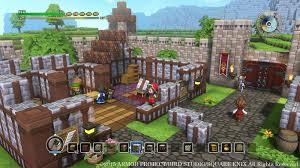 Realistically with it being a Dragon Quest game, I shouldn’t have been surprised to see that this would be a game that took a long time to complete, but it still came as a pleasant surprise when I was really just expecting this to be a cute Minecraft clone. 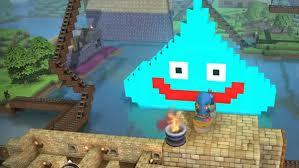 The music in the game is also very traditionally Dragon Quest. It’s simple and catchy without grinding on your nerves. With that being said, it is a little repetitive. I kind of wish the developers would have adopted a more Animal Crossing/ Minecraft approach to the music where it changed up every so often. I don’t mean to take away from the quality of the compositions; I just wanted more range with the background music. Overall, for a game I expected to experience and be done with, I was pleasantly surprised at how much fun this game was. It also got me to start utilizing remote play on my PS Vita more than I have with any other game so far (the fact that you don’t need to use the wonky touch screen buttons certainly helps!). 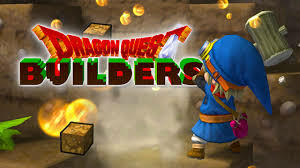 If you like playing with Legos and playing RPG’s, I would definitely recommend checking this game out. This game does come with a $60 price tag, which might not be too appealing to skeptics. There is definitely enough content here to justify the price and you will get your moneys worth. That being said, as an aging gamer with less and less free time to devote to video games, I will tell you that I will wait for a price drop. The instant gratification that you get with a game like Overwatch or Gears of War 4 is not as prominent with Dragon Quest Builders. If you’re like me and every game purchase is a calculated and laborious financial commitment, I would definitely advise taking a look at your time and money budget and making sure this is the right move before purchasing. Do you like Minecraft style games?